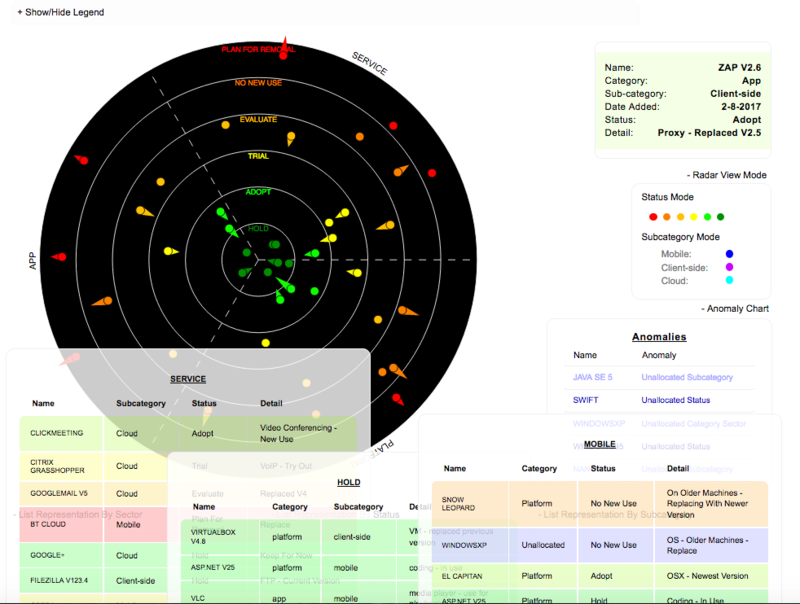 GitHub - MichelleEmbleton/appSecRadar: A colour-coded radar chart to keep track of technologies in use, whether they are being evaluated, adopted or phased out. 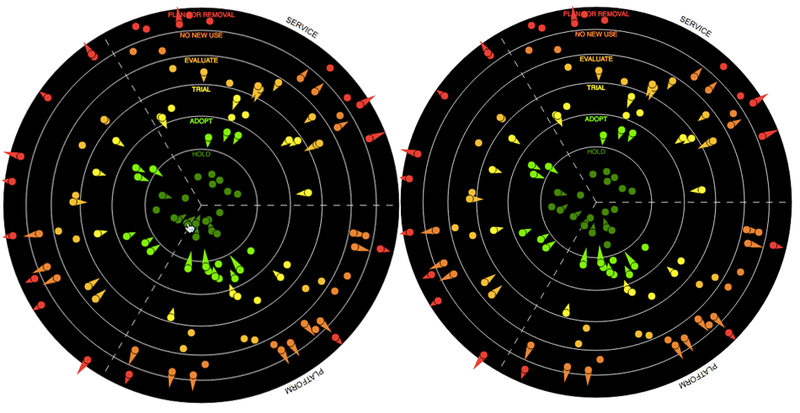 A colour-coded radar chart to keep track of technologies in use, whether they are being evaluated, adopted or phased out. Want to be notified of new releases in MichelleEmbleton/appSecRadar? 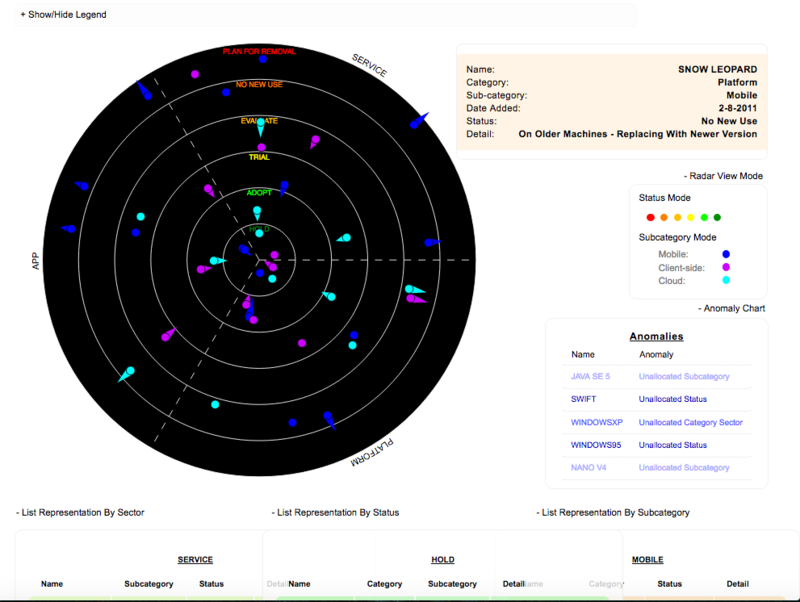 Sherif Mansour's (@kerberosmansour) idea and design of a colour-coded radar chart to keep track of technologies in use, whether they are being evaluated, adopted or phased out. Can move dots without reloading or refreshing screen - on click and move they will find a new random position within their boundary. Radii can easily be adjusted to accommodate data. Sectors will auto add/delete depending on data. The best way to use the radar with the input in JSON format is with a local server. There's likely to be a simple server built into your operating system. In the browser address bar type: http://localhost:8000/radar.html (or whatever port was specified). Then it should work fine. data.json will be used if the data isn't in data.js.